The following is part of a presentation I gave on grief. This part deals specifically with the holidays. We are in October, there are already Thanksgiving decorations on sale; soon there will be Christmas ones. If this is the first year after a loss these events will be difficult, just like other celebrations – birthdays etc. But these holidays are not private they are celebrated publically and everybody wants to wish you joy. Some years ago a tradition developed to hold a prayer service on the longest night of the year for those who had lost loved ones. It’s called a Blue Christmas and is described as a service of remembrance and hope. You might look for one this year. drinks, and a table decoration. Take time outs if and when you need to for a quick weep. Remember that other people around you are grieving, too, and everyone grieves differently an on a different schedule – denial, avoidance, anger, bargaining, sadness, depression, acceptance – and around and around again. You can’t fix them, but you can be patient with them, whatever stage they are in. “Insight Timer” APP for your phone – for hundreds of meditations. Some just music, some nature sounds, some guided meditations. This is a sad song but listen ’til the end. How do I process my grief? Does suffering have any meaning? Do we live in a random chaotic universe? Is it time to re-evaluate my understanding of “God”? This book is for anyone who has suffered a loss – of safety, of one’s home, of health, of a loved one or a relationship, or of one’s faith … and found themselves asking, “Why?” And then wondering, “Who am I asking?” and hoping they were not alone. Over the past few years I have used the opportunity offered by this blog to reflect on my journey of healing from the loss of my son. I thank all those who have reached out to me or shared their stories on this blog. I have a new book coming out that tells the story of my healing journey and my journey through grief and loss if you are interested in my full story. When grief is cyclical you visit the grief over and over again. You face the same questions, the same guilt. Sometimes it seems to feel as bad as the first few months, or maybe you just don’t remember how awful that was anymore. Depression has a rhythm, too. The lows seem to get lower but the recovery and equilibrium seem to last longer. After coming out of my recent depression I had the opportunity to accompany my husband to a retreat center. The truth was I wasn’t ready to be alone for three days and two nights. He was working a high school retreat, but I had the weekend to myself. I brought my memory stick containing my book on grief and loss and thought I might give it a look again. It had been stuck for quite a while on the issue of hope. 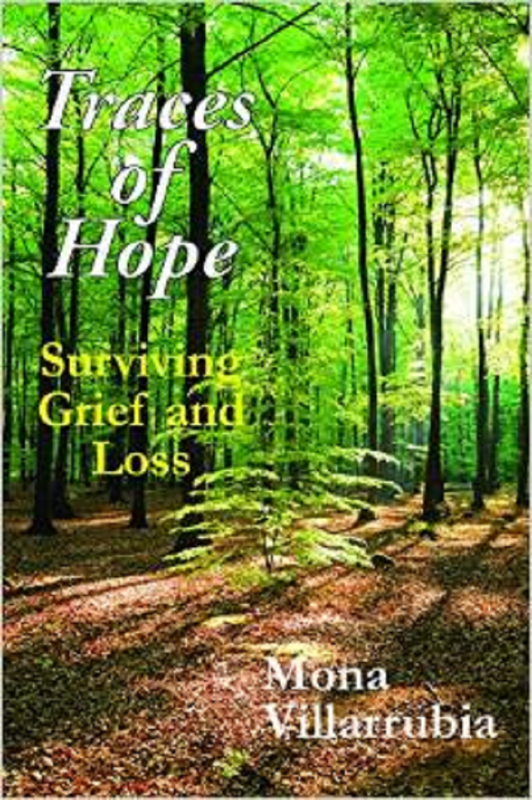 The book had morphed from the theme of grief and loss to the theme of meaning and hope. The trouble was that I wasn’t sure what hope I had and what shape it took. For two years I had been thinking and reading and, yes, praying, even though I wasn’t sure to whom or for what purpose. Then I sank into depression and hope mocked me from the sidelines of my life. But now I was on the other side of the depression and something had shifted. What I had been reading began to take a meaningful shape. Quotes I had highlighted began to organize themselves, and I found at last I was able to get my head around the possibility of hope. I hoped for hope, and that was closer than I had been in years to actually being hopeful. So for two full days I wrote. I got to know my book again and began to develop greater coherence. And I worked on the last section, the section that was now giving the title to the book: Traces of Hope. Those were a powerful two days. I felt invigorated and, dare I say it, hopeful that my book might make sense and might prove useful. I wasn’t sure how long these feelings would last but it felt really, really good. Since that weekend I have sought out and enrolled in a program for Pastoral Care; I have begun attending a Christian church (The United Church of Christ) with a friend of mine, and I have begun a practice of daily reflection or meditation, usually at night because I am not worth a damn in the morning. Lots of changes. I don’t know how long-lasting this sense of equilibrium will be, but for now I am appreciating the emotional peace. I have written about positive insights and shared positive postings on Only Good Things, http://wholiness.wordpress.com. And I have begun reflecting on pieces of my book on Traces of Hope, http://tracesofhope.wordpress.com. I invite you to visit. I hope to have an ebook ready in a couple of months and, who knows, maybe a real publisher. But that’s a bit too much to hope for, probably. It is now 2014. This year we will mark the seven year anniversary of Malcolm’s death and it will also mark a number of changes in my life. I lost my job in September and that could have been a real crisis. Well, to be honest I thought it was! But in retrospect it turned out to be more blessing than not. I have taken the time to examine where I want to go next, and I have decided it is neither back into Catholic education or into another office job. Instead I am returning to school to pursue training in Pastoral Care. Will it work out? I don’t know. But it is exciting to be trying something new. There is a real sense of freedom when you have nothing to lose and no one to prove anything to. A small inheritance from my parents’ provided the fiscal freedom and the support of my husband provided the emotional freedom. During this hiatus from work I have refinished lawn furniture and an old desk and chair. I have patch painted a water-stained ceiling, twice – they were very stubborn stains. I have cooked healthy meals and kept a clean house, and enjoyed doing all of this because I knew it was temporary. The most important change was not home improvement, though, it was a change in my outlook. I have rediscovered hope. It wasn’t a sudden discovery it has been creeping up on me slowly and gently for a while now. The reason I didn’t pay too much attention was because it was not immediately obvious, the change was not linear but cyclical, just like the grief. A beautiful thought for the day from Gratefulness.org. You can subscribe for free. I find it very enriching – it makes me pause and reflect for a few seconds every day. I was at work when the news came: Kitty had died. It wasn’t a surprise but it was still an emotional shock. I was reading a T.S. Eliot poem on-line, Little Gidding, searching for a quote I wanted, and when the words of her passing came to my ears the poem became a prayer. I have always struggled to understand Eliot but have not, until today, tried to understand him with critical commentaries and scholarly insights. But Friday, when I lost Kitty, the words themselves were enough, speaking of endings and beginnings and oneness. And I thought about revelation and scripture and wondered why the poetry was more consoling than the psalm or the gospel verse. And I wondered: isn’t God speaking in each and through each of these? Writing that struggles to give voice to the mystery of life and death, give name to the Mystery of life and death, give meaning, give hope. Isn’t that what scripture is, what poetry is? But here, in this blog I put aside religious struggles and honor Kitty. Her professional commitment to education, her pursuit of personal and institutional excellence, her devotion to her Jewish faith and community, her love of literature and her desire to create. Her compassion, her heart, her wonderful hugs. And I give thanks for the gift that she was in my life. It is time. I want to officially move to the Hope stage of survival. Of course I will still be posting here as well, because I need a place to write about the Grief and Loss too. They don’t go away, but they can make room for Hope and that is what I want to focus on in my next blog. This will be a place to share more pieces of my new book. The blog is called Traces of Hope. Coping with Tragedy: From Faith to Doubt to … Hope? Below is the latest version of the Introduction to my new book. The working title is now: Coping With Tragedy: From Faith to Doubt to …Hope? But I’m still mulling that one over. I wanted to write about Malcolm and coping with his death, but I felt that I had to write about the other major tragedies in my life too, because they all intertwine. The result may be over-reaching but it makes sense to me. I just have to keep working on the Hope section. 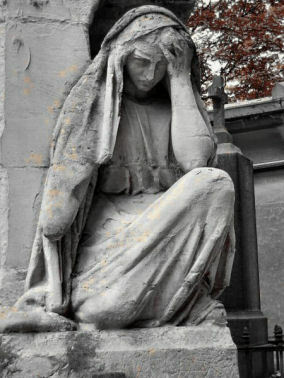 Tragedy – it’s not just a genre of literature, it’s a part of life. Everyone’s life, eventually. Disaster, disease, death … unavoidable, unforgiving, and somehow always unexpected, however much we prepare. Living on theGulfCoast, I was aware that hurricanes definitely do happen…even if they don’t in the English countryside of Eliza Doolittle and of my birth. But that doesn’t mean I was prepared. And death? I didn’t expect death, not of someone so young. The experience of tragedy – regardless of our preparedness or its inevitability – involves the experience of loss, many different kinds of loss, and immerses us in grief. Grief and Loss and their constant companions, denial, anger, blaming and depression, are often portrayed as a process leading to eventual acceptance, renewal of hope, and a new beginning. But what the psychology texts don’t tell you is that there are a whole lot of casualties in this process: some people just can’t make it through to the end. And then there are those who just get stuck in a cycle of depression and anger, adopting self-destructive ways of coping that often involve substance abuse, struggling with rage, and the wreaking of havoc in all their relationships. In the face of tragedy, understanding the common stages of grief and loss can offer some sense of order in an otherwise chaotic emotional landscape. But what if, while reeling under the impact of this chaos, you also face the loss of your religious faith, and along with it the very structures of meaning that have held you together for so long? What if you find yourself doubting the goodness of your church, the existence of God, the purposeful nature of creation, the meaning of life, the very possibility of hope? This was where I found myself just a few years ago. Three separate tragedies – Hurricane Katrina, the Catholic abuse scandal, the loss of a son to suicide – connected through the common ground of grief and loss, and carrying in their wake a profound challenge to religious faith. This may seem too wide a topic for a single book, but it can’t be, because this book is not philosophical specualtion: this is my life. The questions I raise here surface from the depths of my own grief and sorrow and from my desperate need to reclaim hope, the hope I once relied on, the hope I tried to offer my students when I taught high school theology, the hope that my son wrote of … even as he prepared to die. Typically, spiritual odyssey stories generate speaking engagements, t-shirts, and affirmation cards. They take the reader from the pain and chaos of suffering, sin, and loss to the comfort of forgiveness and the renewal of faith. This story travels in the other direction: from a career teaching theology and leading liturgical music and the feeling that I was in God’s hands, to the desolation of suddenly feeling that God has let go. I used to readily call myself Catholic; now I don’t know what label fits. If “Catholic” can be a cultural descriptor, the way “Jewish” is for many Jews, then I am certainly Catholic. I was born and raised in the Church, received all the relevant sacraments, earned two degrees from Catholic universities, taught theology for nearly three decades in Catholic schools, and raised two sons in the Church. I would not hesitate to check “Catholic” on a census or on a hospital admissions chart. Nonetheless, I am currently ambivalent about God and find it too distressing to attend Church with any regularity. So to be clear, my story will not nurture a soul hungry for immediate spiritual enrichment, but to those who are struggling to make sense of suffering and God it offers the consolation that you are not alone. It may even help you let go of the guilt of doubting God. And for those who are searching for some sense of meaning and purpose when life seems devoid of any, it may even offer you the possibility of hope. That is certainly my hope.